What's that? You want more washi tape? A feeling we understand all too well! 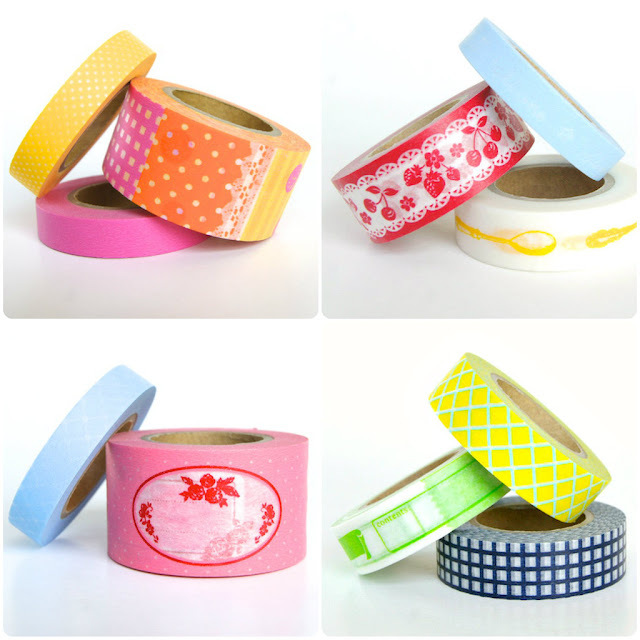 So we've added 20 new sets of lovely Japanese masking tape to the shop. That's 76 (seventy-six!!) new designs added to our selection. There's collage tape and berry tape. Retro kitchen labels and fresh colour combos. Lots of fun prints and juicy colour for you to play with! Four of those sets just happen to be the super adorable (and super popular) Washi Tape Cuties. Mini rolls of washi tape pre-mixed and matched and ready for crafty action. Each mini roll has 6 metres (vs the standard 10 - 15m rolls) and each set includes a 8 (eight!!) different designs. Even better? 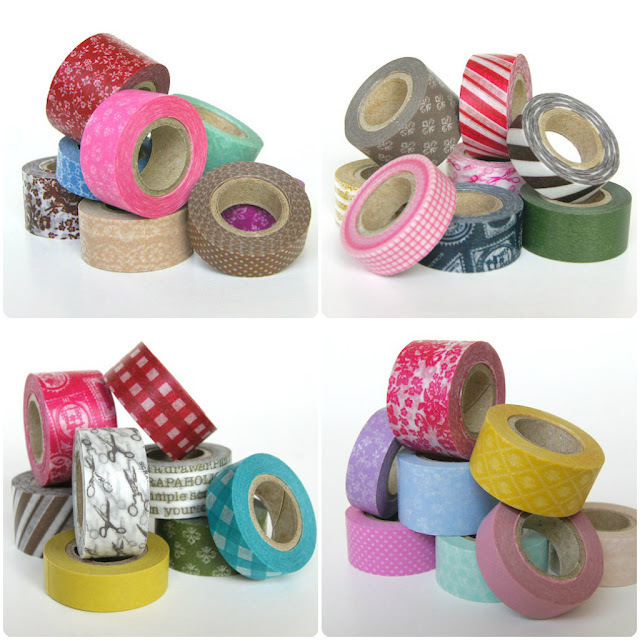 These new sets have different widths of tape too - so you get 2 wide, 4 regular and 2 slim rolls in each set. So fun, right? You can find all the new designs in the shop. Happy Friday! And a happy Memorial Day Weekend to our American friends! Aren't they fun?! So glad you like them!